(Bloomberg) -- U.S. government shutdowns harm the IRS and Americans trying to pay what they owe, National Taxpayer Advocate told Congress. “It is irresponsible for an agency that touches all aspects of people’s lives to be underfunded, understaffed, and at the mercy of shutdowns,” according to the group’s report submitted to lawmakers on Tuesday. Congressional negotiators presented a tentative plan last night that is aimed at averting a partial government shutdown on Friday at midnight. It is unclear whether President Donald Trump will support the spending plan. A lapse in federal funding, which would come on the heels of the longest one in U.S. history, would force the IRS to send about 43 percent of its workers home, according to the tax agency’s plan. During a shutdown, much of the agency’s work grinds to a halt, including audits and examinations. 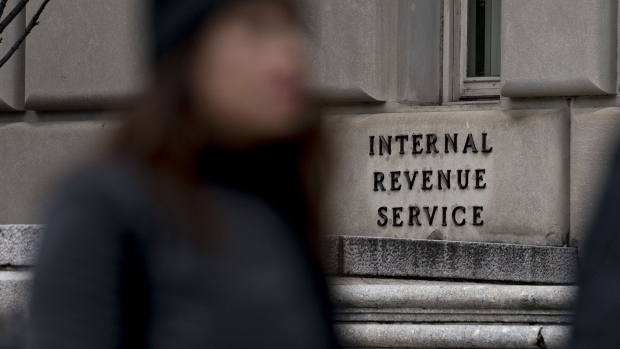 That hurts taxpayers who want to resolve their cases with the agency and means that the easiest resolution for both the IRS and the taxpayer is harder to reach, Jennifer Breen, a partner at law firm Morgan Lewis, said. The IRS already is struggling with its workload and “making strategic decisions that ultimately burden taxpayers, increase its own rework, and create distance and distrust between taxpayers and the tax agency, thereby undermining voluntary compliance,” the report said. During the last week of the recent shutdown, only 12.8 percent of callers looking to see how much they owe or checking on the status of their agreement with the IRS were able to get through to the agency. The delay came after waiting on average more than an hour on hold. "Make no mistake about it, these numbers translate into real harm to real taxpayers," the report said. "And they represent increased rework for the IRS downstream, at a time when the IRS is already resource challenged,” according to the report.